From left to right: Nick Visco, Jackson Lee, Isabella Olson, Kyla Staton, Kayla Hampton, Eleanor Clark, Nichole Noel and Jordan Smith hold up their winnings. Photo by Ella Terry. A team of nine Carrboro High students has won National Runner Up in the No Barriers Global Impact Challenge. The team, called Spectrum Unfiltered, includes Eleanor Clark, Jarrad Cotten-Fox, Kayla Hampton, Jackson Lee, Nichole Noel, Isabella Olson, Jordan Smith, Kyla Staton and Nicholas Visco: a diverse group of students spanning several grade levels. The No Barriers Global Impact Challenge is a national challenge where groups of students create projects to increase inclusion and diversity in their communities and break down barriers, hence the name. Spectrum Unfiltered planned a film festival that will showcase films that raise awareness of the issues that people face every day and how by facing those challenges, they’ve become stronger people. The film festival aims to start conversation in the Chapel Hill- Carrboro community involving people of all races, orientations, abilities and origin. The idea for this film festival originated at CHS’s Culture Fest with newcomer students, according to Melissa Barry, a CHS teacher who works with students who have disabilities. “In the audience there were newcomer students who were getting excited when their country was coming up, but then the entire movie was about facts about the country from a very American perspective, and many of the students were sharing that it wasn’t capturing all of [the countries],” said Barry. After Culture Fest, Spectrum Unfiltered decided to continue the idea of the film festival. The team interviewed several different people in the community to get different perspectives and have conversations about discrimination and acceptance. Barry thinks that the interviews really solidified the students’ desire to continue with the project. “I think that that kind of the foundation for this project is how much value each of us has, layered with all of the things that make us human. Layered with our imperfections, layered with our struggles, layered with our challenges that we all have such value,” said Barry. The monetary compensation and the project being recognized on a national level is very encouraging for the team. 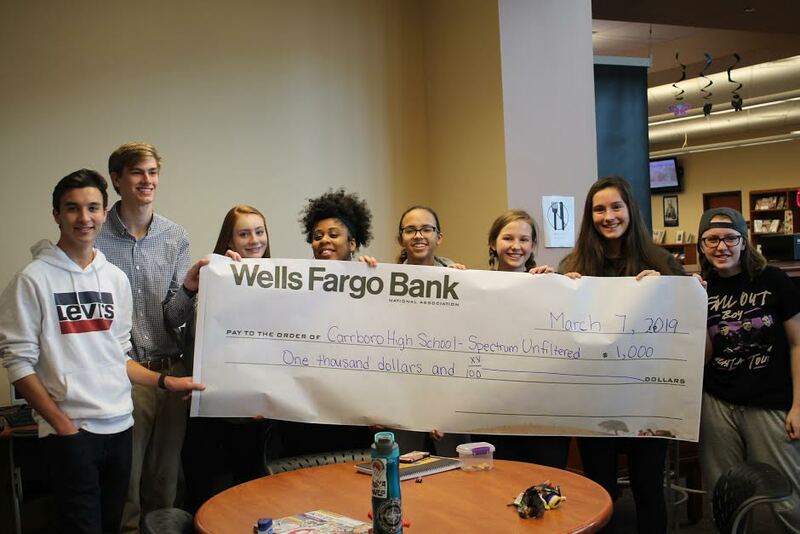 “We didn’t know if we were going to win anything or not, and the fact that we get this money, and we get to actually make a difference in our community means a lot to me and the rest of us,” said Kayla Hampton, a CHS sophomore. Even without this money, the team still planned on doing this film festival, but now they’ve got a head start. “Having the foundation to be able to start [the project] with some of the prize money and the recognition is really really cool,” said Jordan Smith, junior. What’s next for the team? They want to be done filming the movies by June so that they will be able to edit over the summer and ideally have them done for teacher training in August. This will help teachers get an idea of their students and go into the year with ideas of acceptance. August is also an optimal time for showing the films at public venues that the team has looked into because the weather will still be nice. Congratulations to this hardworking team for winning national runner up! CTE students working in Ms. Francis’s class. Photo by Ben Tignor. This February, Chapel Hill-Carrboro City Schools and school districts across the nation celebrated CTE Month. At Carrboro High School, teachers and students marked the occasion with presentations around the school. For each week of February, the CTE department showcased one of four program areas with large posters and displays positioned in each wing. The CTE department provides students access to a number of different programs covering subjects including engineering, business, design and other applicable real-world skills. As Beth Landis, who teaches Adobe software, says, the courses prepare students for “a career, rather than a field of study.” Students are constantly considering what their path will be after graduation, and CTE courses can equip them with experience they may not otherwise gain in a high school setting. “By taking career and technical education courses while you’re in high school, you get the chance to try out different types of things for free before you go off to a school and are paying tuition to do it,” said Sarah Mack, CTE Populations Coordinator. Students looking to get involved in CTE programs have a number of different available routes to do so. “The best way is, during registration, to sign up for a CTE course,” Mack said. Available fields of study include textiles, engineering, design, electronics, and more throughout the district. 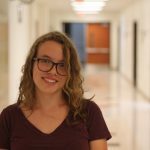 “If you’re not sure which course you want to take, there are some career assessments you can do through Naviance,” said Landis. Students can also speak to their Career Development Coordinator or a CTE teacher to learn more about pursuing CTE courses. In addition to registering for classes, students can join clubs like DECA, Skills USA, Carrboro Robotics and other career and technical organizations throughout the district. For students engaged in CTE programs, the experience can be invaluable. Virgilio Hernandez,CHS senior, compared his experience at CHS to his prior school. “The previous school where I was at, I didn’t have these opportunities,” said Hernandez. 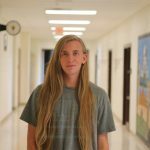 As a result of his experience at CHS, he now plans to pursue a career in programming after he graduates. In addition to offering essential skills, CTE courses provide both an alternative to the “traditional” career route, and a way for students to set themselves apart from others when seeking higher education, according to Julie Francis, Business and Marketing teacher at CHS. Francis spoke on the accessibility of Career and Technical Education programs. “It gives everybody an opportunity. You don’t have to have the highest GPA. You don’t have to be a senior. You don’t have to have any other credentials. It’s about what you’re interested in, and it’s about driving that passion that you have and making it applicable in the real world,” said Francis. 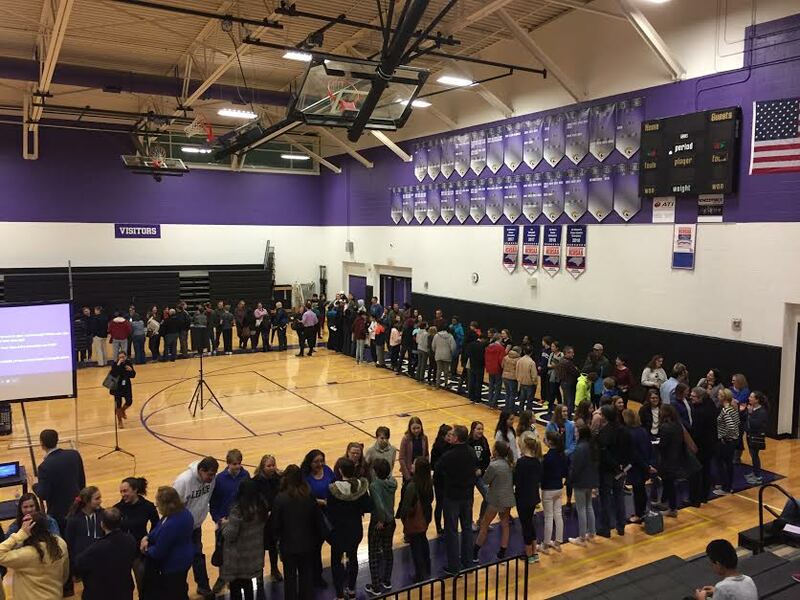 On Monday, March 4, Carrboro High School held its first annual registration night from 6:30 pm to 8:30 pm. Registration night allows for any student to come to school and explore different class options for the next year, speak one-on-one with their teachers and let parents interact with teachers. “The purpose of tonight is to give grade level information for students who will be attending Carrboro High School next year, particularly for students who are rising ninth graders who have never been to Carrboro before” said Ashley Freuler, eleventh grade counselor. All throughout the school, activities and meetings took place. The commons of the school were filled with posters and signs promoting elective courses for new students to take a look at. The school library and some of the classrooms contained teachers talking to parents and students alike about their upcoming school year. The school was mainly filled with rising freshman coming to Carrboro High School, exploring the hallways they will soon be walking for the next four years. “[The icebreaker] was trying to help normalize the experience, parent to parent, of this transition. 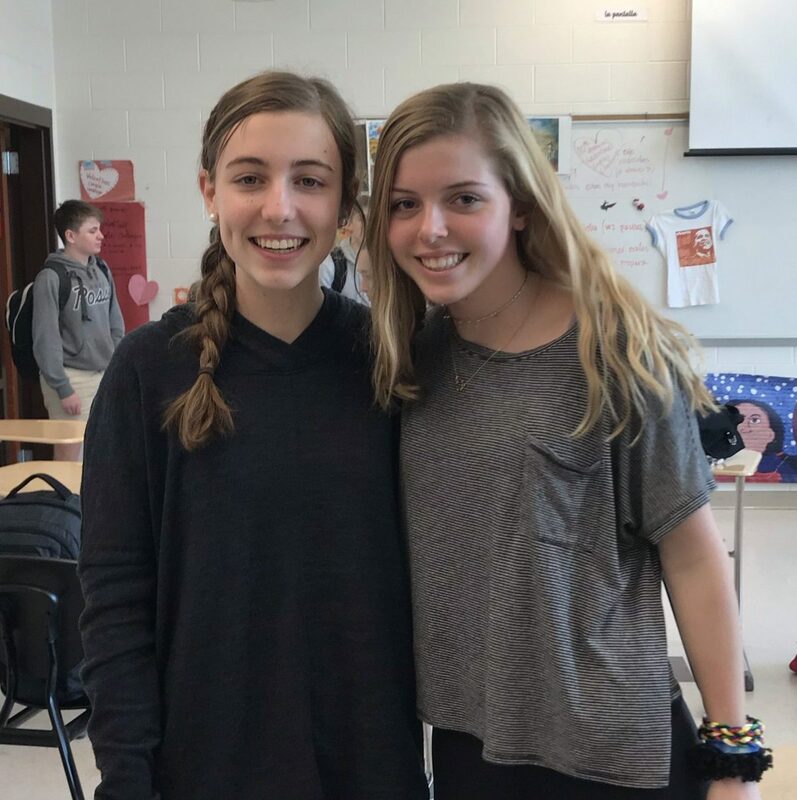 Most people that came, this is their first child in high school, and it kind of freaks people out sometimes, and so I think it was to minimize that stress, to help people know that there are other people feeling similar things,” said Michael Horton, Carrboro social studies teacher. A presentation was then given to inform students and family about class information for the upcoming year. 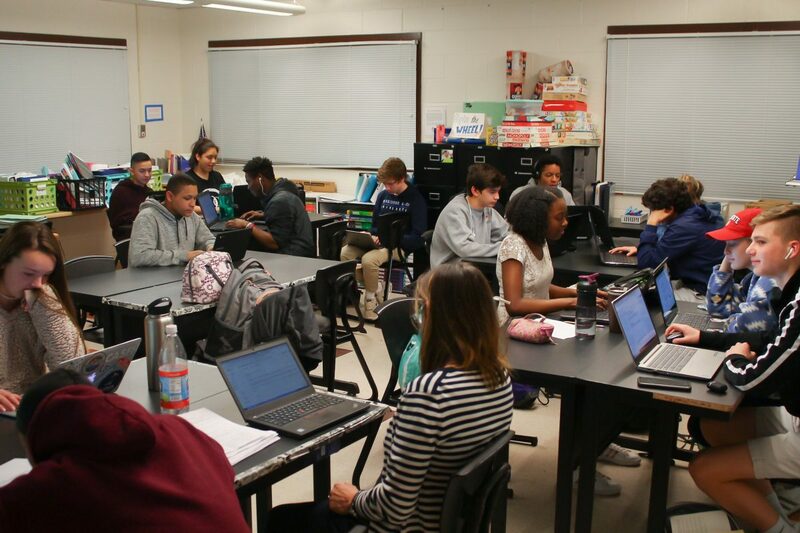 “For freshman academy, they had a specific talk introducing students to information focusing on registration, on courses and sort of general information about Carrboro High School,” said Freuler. Carrboro’s hope for the night was to give students the information needed to make the best decisions for next year’s class, as well as to become more comfortable with the school and staff in preparation for next year. We’re hoping that students will feel more comfortable already having been to Carrboro, that they’ll start to feel connected to Carrboro before they even step foot in the door on their first day of ninth grade,” said Freuler. “You know, before you know it, it will be summer. It will be that time to start back up again, so if we can get as much of it done beforehand, it makes it easier for us to work in it throughout the summer,” said Ken Lathan, twelfth grade guidance counselor. The off season is almost over, and opening day is coming soon. On March 28, the 2019 MLB season will begin, and all 30 teams will be playing on the earliest opening day in the history of the MLB (besides international openers). Even though opening day is soon, there are still many free agents that are looking to be offered a contract. Some standout players on the list of free agents include Craig Kimbrel and Dallas Keuchel. On the other hand, there are some free agents that just recently signed during the off-season. For example, Manny Machado made a $300,000 deal for ten years with the San Diego Padres. This was the biggest free-agent contract in the history of American sports. Another recently signed free agent is Marwin Gonzalez. He made an agreement with the Minnesota Twins for a two year $210,000 deal. Bryce Harper signed a $330 million deal for 13 years with the Philadelphia Phillies, just recently as well. The other agents hope to be offered a contract soon. Be sure to tune in on March 28 for the beginning of a new and exciting MLB season. Did you miss The Oscars this year? Catch up below to see what happened, including some commentary about selected awards. Winners are in bold. Best Picture: This was a shock to many. Most people predicted “Black Panther” or “BlacKkKlansman” to win Best Picture given their captivating stories and diverse casts. The New York Times points out that it was the Academy’s mistake to award “Green Book” for Best Picture after years of making similar mistakes. The reputation of #OscarsSoWhite, a hashtag that came about as a result of the years with primarily white winners, was diminished slightly by the numerous wins in acting and categories for Costume Design, Cinematography, and best Director. But, the Best Picture award was given to “Green Book,” comprised of white male directors. According to The New York Times, “The academy couldn’t resist another film in which American racism is neatly resolved through a white character’s proximity to a black one”. Lead Actress: Olivia Colman won in her role in “The Favourite”. Glenn Close is pointed out over the media for being the person with the most Oscar nominations without a win. Olivia Colman even said “Glenn Close, you’ve been my idol for so long,” in her acceptance speech. Supporting Actor: Many believed this was a well deserved win by Mahershala Ali. “The 2019 Oscars broke records for most wins by black nominees ever,” according to IndieWire. Animated Feature: Spider-Man: “Into the Spider-Verse” seemed to be the obvious pick for best Animated Feature given its overwhelming popularity since its recent release to theaters. Animated Short: The animated short film, Bao, was the obvious win in many people’s opinions after seeing the short in theaters before watching Incredibles 2. The cute story centers around a mom whose son goes off to college, leaving her lonely until her dumpling turns into a child she can watch grow up again. Original Song: Lady Gaga, Mark Ronson, Anthony Rossomando, Andrew Wyatt and Benjamin Rice won an Oscar for best song for “Shallow.” Lady Gaga and Bradley Cooper performed the Oscar winning song before winning the award. Lady Gaga was overjoyed after winning the award and was emotional on stage delivering her speech. Every week the JagWire will recap sporting events that took place over the past week. In case you missed it, see below for the results from Monday, February 18 to Friday, February 22. Women’s basketball played Durham School of the Arts on Monday in the first round of the Midstate Conference Basketball Tournament. Unfortunately, the team lost 64-37, which ended their season. Men’s basketball also traveled to Cummings to play Graham on Tuesday as the third ranked team in the Midstate Conference. The team advanced past the Red Devils 84-41 in the first round, then beat Reidsville 58-59 in the semifinals. The Jags will face off against Bartlett Yancy tonight in the finals. Tipoff is at 7:30, be sure to show out and show your support. Women’s soccer will get a chance to start their season strong with a home scrimmage against Leesville Road High School this Friday. Despite the relatively light week, Spring Sports are underway as they prepare for the start of the Spring Season. Be sure to check back next week for another sports update. On February 7, Carrboro High School hosted its annual Community Dinner in the Cafe Commons. The dinner’s purpose was to celebrate black culture, excellence and history through various speakers from our student body and community. The event consisted of a catered dinner, special speakers and a student discussion panel to focus on minority voices and reflect on Black History Month. The student discussion panel was moderated by Matt Murchison, a CHS English teacher. Students on the panel included Jarrad Cotton-Fox, Connor Hall, Kayla Hampton, Aniyah Harris, Jacobie Lewis, Chris Thompson and Kameron Walker. “Tonight is a night to give the minority part of Carrboro a voice. The panel gives us a chance to let teachers know what minorities feel throughout the day and how classes feel for them, giving them an insight of what we feel. My favorite part of tonight is the student panel; it’s nice talking to teachers and being asked what I think of things,” said Lewis, a Carrboro senior. Keynote speakers at the event included former Chapel Hill mayor Howard Lee, and Reverend Albert Williams. Lee has spent the past few years working with schools all over the state, setting up special programs, and motivating young people about the opportunities awaiting them in the world. “I’ve spent the last six years telling young people, don’t become deflected by things that simply will do nothing more than get you away from your primary goal. You have a voice, use it. No adult worth his or her soul would ignore what you have to say,” said Lee, who was also a former senator in the North Carolina General Assembly. Lee made history in 1969 when he became the first black mayor of Chapel Hill, as well as the first black mayor of a majority-white Southern city. February is Black History Month, and to remember and celebrate black excellence throughout history, the annual Community Dinner is happening this Thursday at CHS. Carrboro High Community Dinners have taken place for the past 12 years, and they celebrate black culture, history and excellence. The dinners look back on famous historical figures and invite black students to safely share their school experiences as part of a predominantly white student body. Zoyie Mangaroo, CHS senior, will be on a student panel. 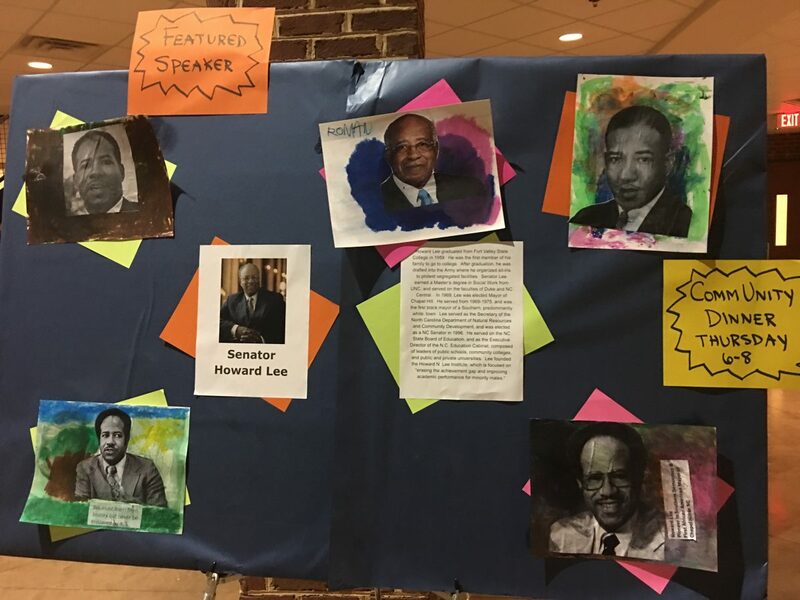 This year’s theme is “Black Excellence: Student Voices, Community Connections,” with panels from students, photos from the Civil Rights Movement in Chapel Hill and a guest speaker. The Marion Cheek Jackson Center, a center working towards preserving the future of historically black neighborhoods in Chapel Hill, will display photos from the Civil Rights Movement in Chapel Hill, some coming from the National Museum for African American History and Culture in Washington, D.C.
Howard Lee, a former senator in the North Carolina General Assembly, is speaking on Thursday, the first black mayor of Chapel Hill, and the first black mayor of a majority white southern town. After his time as mayor, Lee went on to serve in the North Carolina Senate for 8 years. Lee focuses on the issues facing public education, including the achievement gap. The Community Dinner aims to bring students, teacher, parents and people from different backgrounds together to celebrate black history, black excellence and black students at CHS. The dinner gives a chance for black students to be recognized and to let their voices be heard in a community that is primarily white. 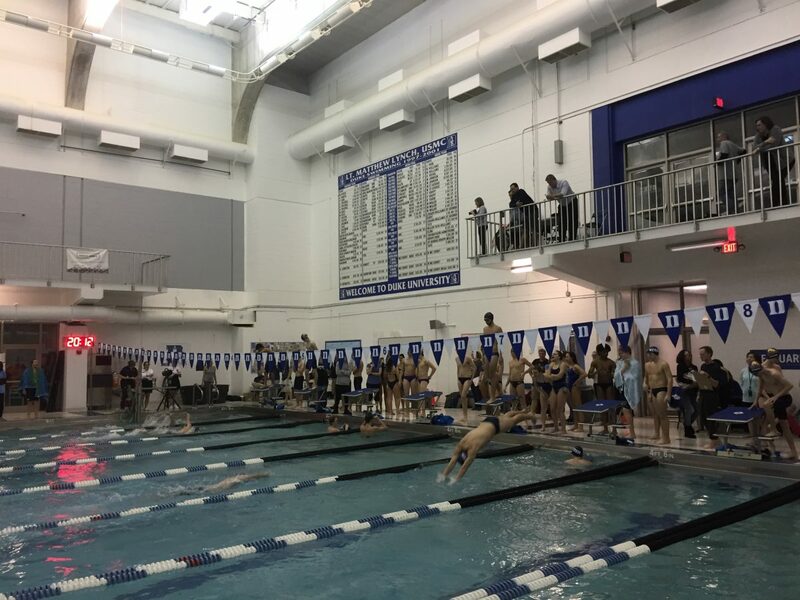 This past Wednesday, January 23, Carrboro High School Varsity and JV swim teams competed at Conference Championships at Duke University in Durham. The competing teams were recurring opponents North Carolina School of Science and Math (NCSSM), Durham School of the Arts (DSA) and Reidsville. This was the last meet before the Regionals and States meets. The Carrboro girls came in first overall at Wednesday’s meet, scoring 185 points and crowning the Varsity and JV teams as Conference champions. The Carrboro boys teams came in second with 129 points. Both the girls and boys did very well, raking in many All Conference titles. To gain this title, the swimmer must place first or second overall in their event. The girls won 11 All Conference titles while the boys won four titles. All Conference winners for the CHS girls included seniors Paloma Baca, Anneliese Merry and Audrey Costley, as well as freshmen Emily Carpenter, Eve McCallion, Kate Hegland and Lindy Bilden. All Conference winners for the CHS boys were senior Ian Ward and juniors Lincoln Wurster and Alex Prakken. This was the last meet to make qualifying times before High School Division 1A/2A Regionals. With the swim season coming to its end, CHS swimmers are prepared to give it their all at Regionals and States.